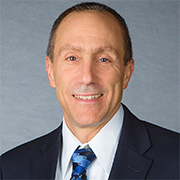 David A. Puleo, Ph.D., is dean of the School of Engineering at UM. Before joining UM in August 2018, he was associate dean for research and graduate studies at the University of Kentucky. He also served as a professor in the F. Joseph Halcomb III, M.D., Department of Biomedical Engineering at UK and founded Regenera Materials LLC, in Lexington, Kentucky. Puleo received his Ph.D. in biomedical engineering from Rensselaer Polytechnic Institute in Troy, New York. During his 27 years of employment at the University of Kentucky, Puleo also served as assistant professor of biomedical engineering, associate professor of biomedical engineering, adjunct associate professor in the College of Dentistry and professor in the Department of Orthopaedic Surgery, both in the College of Medicine at the University of Kentucky Medical Center. He also served as director of the Center for Biomedical Engineering and then chair after the center’s conversion to a department. He is a fellow in the International Union of Societies for Biomaterials Science and Engineering, the Biomedical Engineering Society and the American Institute for Medical and Biological Engineering. A member of the advisory board for Viking Scientific Inc. and Omicron Delta Kappa honor society, Puleo received UK’s Excellence in Teaching in 2011, 2013 and 2015 and the Dean’s Award for Excellence in Research in 2013. A prolific author, Puleo has written over 100 refereed journal articles, co-authored a textbook, and been published in several other books and periodicals. He has also been an invited presenter at numerous webinars, conference workshops and annual meetings. As a researcher in the area of regenerative biomaterials, Puleo has served as principal investigator and investigator of both internally and externally funded grants totaling millions. His research has led to more than 10 intellectual property disclosures, patent applications and patents.